The substance of creation has no independent existence. Even the soul is not immortal due to its own separate nature; rather, its life arises from its communion with the almighty will of God...Humanity shares a common beginning with all creation. All creation enjoys a common fellowship with the divine will, which gives life, light, and every good gift. If death was the result of man's Fall, it is natural to speak of the salvation in terms of the victory over mortality. However, if this notion leads us to say that sin does not receive its due attention in the thought of Irenaeus, it is quite misleading. This point becomes self-evident as we examine the interrelatedness of sin and death. ...divine immortality [in sources contemporaneous with Irenaeus] does not necessarily entail a corresponding ontology...because immortality could be social [i.e. qualitative] as well as ontological. For instance,...when early Greek poetry honoured its heroes, this ‘immortality’ had nothing to do with ontology. Similarly, Wisdom argues that the righteous will be immortal because they are remembered by the community (Wis 3-4, esp. 4.1, 7-9, 18-19). As such, social immortality mediated through honour, fame, and remembrance continued to play a role in the Hellenistic honour-shame culture. For the Gnostics, it was not merely the case that the body would be annihilated, then, but the bodies and souls of all who are not pneumatics (i.e. those with the “divine spark,” “spirit,” or “nous”) would be obliterated in the fires of the second death. Yet this does not mean that Irenaeus was a true universalist, for by placing emphasis on the free choice of man to either enter into communion with God through faith in his Son, or to remain in unbelief and rebellion, Irenaeus avoided embracing a true universalism in which all men are rendered qualitatively immortal in body, soul, and spirit. While the effects of the work of Christ are universal as regards the psychosomatic existence of man, and while these are applied universally apart from man’s choice in the matter, the moral-spiritual effects of the work of Christ can only be appropriated by the freewill exercise of faith, displayed by a life of obedience to God subsequently lived by faith in Christ, as empowered by the Holy Spirit. Note that we are not merely speaking of the soul’s separation from the qualitative immortality of which Irenaeus clearly speaks, but the body as well. Through communion with God, the bodies of the saints also become further perfected as partakers in the divine nature. More to the point, Irenaeus’ doctrine of the work of Christ as regards the bodies of all men is twofold. All bodies will exist forever, for all men will exist forever; however, not all bodies will become further perfected in the likeness of the Son of God, i.e. beyond sharing an ontological immortality with him. It is only the righteous whose bodies will likewise share in the qualitative immortality of the Son of God. The complexity of Irenaeus’ theology requires much patience to learn, digest, and parse out systematically. As this article has shown, the doctrine of immortality present in his theology exemplifies how this is the case. Rather than teaching that life and death, and by extension immortality and mortality, are solely related to man’s existence or non-existence, Irenaeus differentiated between the ontological immortality of the soul (given its simplicity), the qualitative immortality of the soul (granting that it chooses to trust in Christ and follow him), the ontological immortality of the body (given its creational and redemptive union with the Second Adam, the Lord Jesus Christ), and the qualitative immortality of the body (dependent upon the redeemed sinner’s choice to trust in Christ and walk in obedience to him). Moreover, Irenaeus differentiated between true life (which is obedience to God) and the living death of remaining the darkness of sin, in separation from God’s paternal love and spiritual life. The bishop’s theology allows for the work of Christ to be universal in scope, but only particularly realized in those who trust in him and follow him. This also allowed him to affirm the goodness of God as Creator, the grace of God as the sustainer of all of his material creation through transformation (to be fully realized at the return of Christ). And this truly set his theology in complete opposition to that of the Gnostics. For whereas Irenaeus taught that Christ saved all men, psychosomatically, and only those who refused to appropriate true life, i.e. obedience to God and participation in the divine life, would be punished eternally, the Gnostics clearly taught that the unsaved, i.e. the psychosomatic humans lacking the spirit/divine spark/nous, would be annihilated. Like contemporary annihilationists, they believed that ontological immortality was solely the possession of those who had been saved. 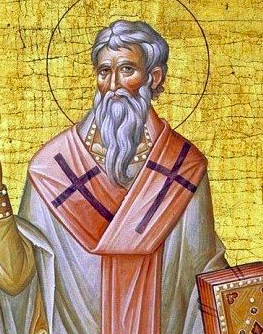 Contemporary annihilationists, therefore, not only anachronistically read into Irenaeus’ language ideas that he did not hold – they attribute to his words ideas that his very enemies were presenting in opposition to the faith once for all delivered to the saints. Arguments attempting to prove that Irenaeus was an annihilationist simply because he affirmed that only those in Christ are the recipients of immortality and life are, consequently, dependent upon the fallacy of equivocation and do not in any way support the ahistorical idea that Irenaeus was an annihilationist. For Irenaeus was not merely not an annihilationist, he was actively opposed to the annihilationists of his day. 1 Regarding the annihilationists’ error of interpreting Athanasius to be an annihilationist, see Diaz, Hiram R. Athanasius, Ontology, and the Work of Christ (Lewiston: Scripturalist Publications, 2018), 100. 2 Against Heresies, 2.34.3, New Advent, http://www.newadvent.org/fathers/0103234.htm, accessed September 13, 2018. 3 “The Doctrine of Man in Irenaeus of Lyons,” (PhD diss., Boston University, 1969), 88. 4 For more on Augustine’s understanding of the soul as the bearer of the divine image and likeness, see Drever, Matthew. “Redeeming Creation: Creation Ex Nihilo and the Imago Dei in Augustine,” in International Journal of Systematic Theology Volume 15 Number 2 (April 2013), 135-153. 5 The Doctrine of Man in Irenaeus of Lyons, 93. 8 “Irenaeus and the Gnostics on 1 Corinthians 15:53-54,” Bible.Org, https://bible.org/article/irenaeus-and-gnostics-1-corinthians-1553-54, Accessed September 14, 2018. 10 The Routledge Companion to Early Christian Thought, Ed. D. Jeffrey Bing (New York: Routledge, 2010), 20. 13 Irenaeus of Lyons (Cambridge: Cambridge University Press, 2003), 252. 14 Irenaeus and the Gnostics on 1 Corinthians 15:53-54. 16 Irenaeus on Creation: The Cosmic Christ and the Saga of Redemption (Leiden: Brill, 2008), 130. 21 The Doctrine of Man in Irenaeus of Lyons, 323. 22 Purves, James G.M. "The Spirit and the Imago Dei: Reviewing the Anthropology of Irenaeus of Lyons," in The Evangelical Quarterly 68 (1996), 107. 23 Of God and Man: Theology as Anthropology, 38. 24 “The Pneumatology of St Irenaeus of Lyons,” (PhD diss., North-West University, 2010), 75. 25 Drane, John W. “Gnosticism and the New Testament” in Bulletin of the Theological Students Fellowship 68/69 (Spring 1974), 7. 26 “Joining the End to the Beginning Divine Providence and the Interpretation of Scripture in the Teaching of Irenaeus, Bishop of Lyons,” (PhD diss., Durham University, 2010), 116-117. 27 Joining the End to the Beginning, 117. 29 Asceticism and Anthropology in Irenaeus of Lyons and Clement (Oxford, New York: Oxford University Press, 2007), 75-76. 33 The Doctrine of Man in Irenaeus of Lyons, 273. 38 Christ in Our Place: The Humanity of God in Christ for the Reconciliation of the World, Eds. Trevor Hart & Daniel Thimell (Eugene: Pickwick, 1989), 169. 41 Irenaeus of Lyons: Identifying Christianity (Oxford: Oxford University Press, 2013), 182.